Bob Campo without a doubt, sets the record for a radio account executive in Tampa Bay. 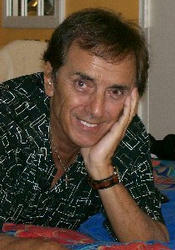 Campo began selling for WQYK-99 in October 1977 and that career lasted until 2004. 27 years as a top sales Rep for WQYK. Campo worked for 6 different station managers and was consistently one of the top billing sales rep at WQYK.The late legendary DJ Tom Rivers did his first remote broadcast for Bob at the tender age of 19 years of age. Prior to Campo's sales career, he was on the air for many years and also had a top radio morning radio show at WKWK in the Wheeling/Pittsburgh area. Bob Campo was one of a chosen few that had a live personal radio show promo from the Chairman, Frank Sinatra. You can hear the Frank Sinatra promo for Campo on Bob's Facebook Wall. After 45 years of a great radio career Bob happily retired in 2004 and now resides in Clearwater Fl.